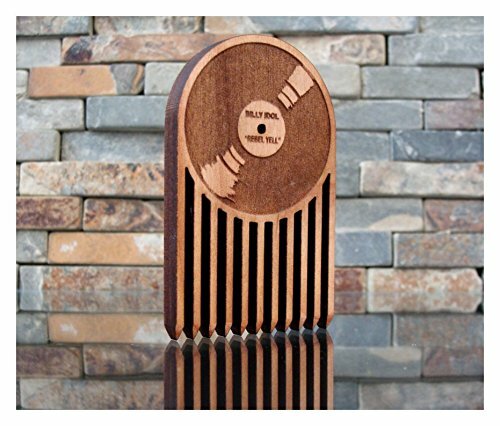 This is a laser-cut beard comb; it is designed to look like a mini, vinyl record; we can eve offer custom text on the "label" part; this MUST be kept very short, however. We also offer no text, and just a plain label.. Please message us before ordering to see if we can fit the desired text. Blank orders will get the default text: Billy Idol, Rebel Yell. The teeth are close-set and tapered to a sanded point for de-tangling; you could even use this on your hair if you were so inclined.